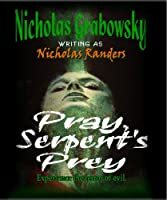 Special edition reprint of the highly successful 1988 novel of supernatural horror, written by bestselling author Grabowsky under the infamous pseudonym of Nicholas Randers. An ancient predecessor of modern-day vampires casts its evil upon the peaceful Montana town of Bloomgarden circa 1980's, where high-schooler Chris Barrett, his friends, a mysterious old man and a self-righteous preacher must learn to deal with these formidable demons while wrestling with their inner ones. Celebrated as the author's first published work, this was also the first in a succession of early Grabowsky horror-fantasies penned under the Randers name.